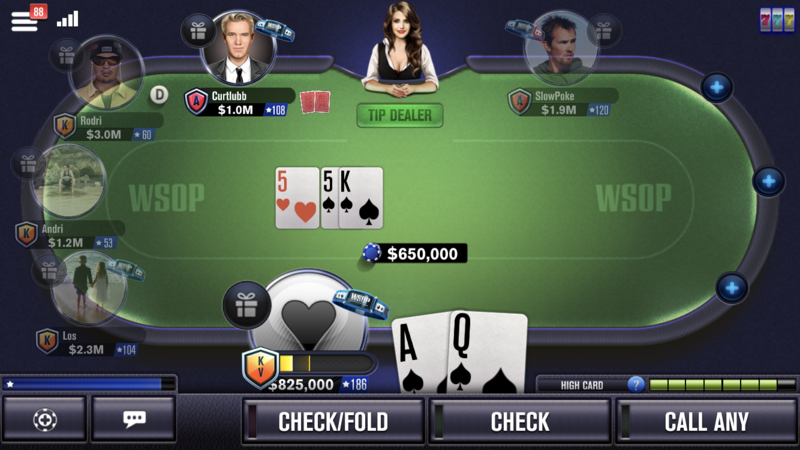 In their latest campaign, World Series of Poker opts you into a club granting you Queen, King, or Ace status. You rank within that K III, A II. If you don’t don’t hit a quota, you’re demoted — K II, A I. Variable rewards include pot size, bonus wheel spins, and you’re playing against humans throughout — there are slow-players, donks, and crafty good players, sometimes at the same time. No clocks are visible from tables. 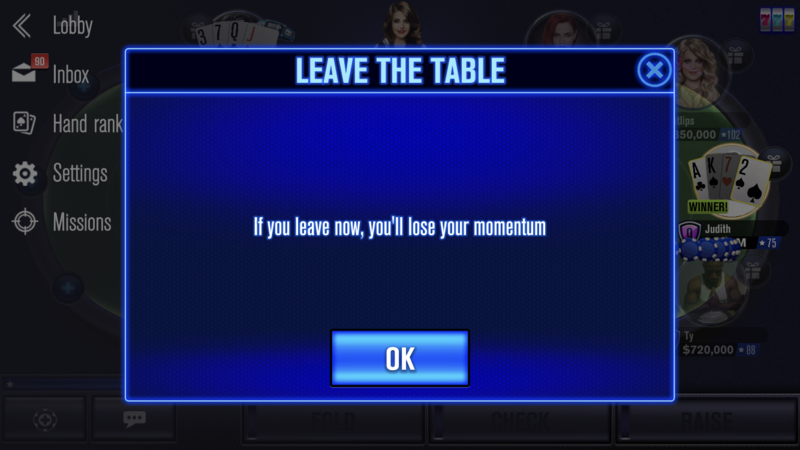 Leaving a table is at least two clicks, and the messaging about losing your momentum is lost potential — multipliers on pot-won bonuses reset to 0. Poker is plenty engaging enough. WSOP is good at helping you stay and getting you back. Exploring ways they can make you doing nothing hurt you more is fiendishly clever.